I found this heart belt at an adorable boutique in Minneapolis while visiting friends (Cliche Boutique for those that know the area!). Local boutiques (AND Etsy) are my favorite places to shop since you can find such unique, one of a kind pieces. Are there any boutiques in your area you love? I'm always up for suggestions when I travel! I love that belt! It looks great with the dress! Gorgeous outfit! Totally loving the dress, so pretty! You look so stunning!! The fancier dress looks great with the denim on top, and your sunglasses are wonderful. Etsy is where I get pretty much all of my costume jewelry, and I find that having knowing where a good consignment boutique is in your area always yields amazing finds!! you look amazing! gorg outfit! xO! Amazing outfit. Love the dress! hey darby! thanks so much for visiting my blog and leaving such a sweet comment! i love this heart belt, what a great find! also i cannot get over how awesome the 'ballerina' dress from a few posts ago is! Very cute! I like your shoes they are cute! Oh gracious, so cute! Love that dress! Great outfit Darby! Love the dress, peep toe pumps, and the chambray:)! Love this Darby! You're adorable!! Love it paired with the denim jacket! Super lovely and pretty! I love it! I love this dress and the belt looks perfect with it! love the entire look, including the heart belt. Front is a great boutique to check out if you ever are in Vancouver! Loving the dress! It's adorable on you! adore your blog! :) it's gorgeous. we're following as well and thanks for the comment! I'm from Minneapolis! I adore Cliche Boutique. This is such a fun look; the dress is fabulous. 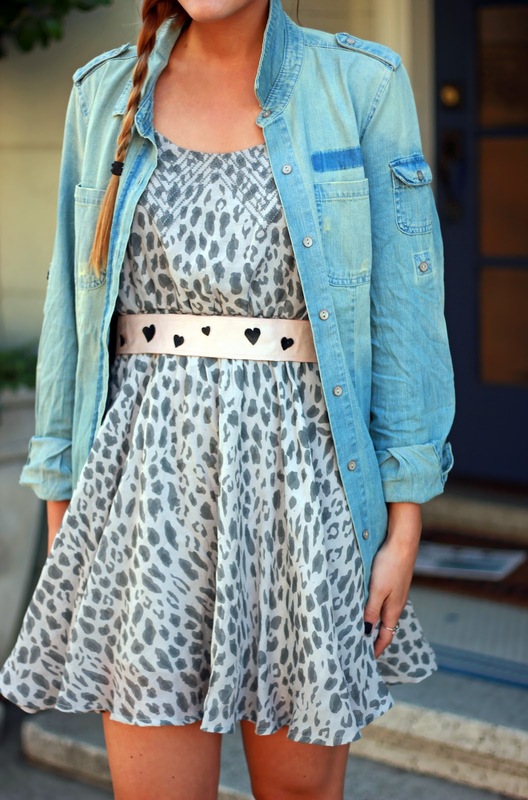 i love your denim shirt and the belt is really cute! btw, i have nominated your blog to get a Sunshine Award for inspiring bloggers. Darby, thanks so much for your sweet comment on my blog. I am more than flattered by your compliments to my designs. I just checked out your blog and love your style. You seem to have a great outlook on life and a fun personality. Glad to be a new follower of your blog! Have a great rest of your week, dear. Hi hi!!! 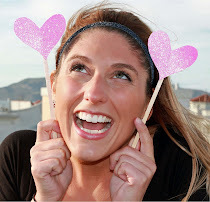 im Raquel, youve visited my blog and commenting! thanks so much! ive been looking your blog too and your outfits are very nices, specially those leopard print shoes you have, i want them!! gorgeous look!! :) I love your shoes and those dress - cute! :) totally your fan now! :) cute blog, dear :) B. What a nice look and gorgeous dree! you look so beautiful,love the combination especially the jean shirt,dear!! DARBY,I very love your style!!! !Super look! ohh this is such a sweet skirt - love the patterns! love this look! especially that denim shirt! totally you're new follower... YEA! Thanks for the sweet comment! Now following you too! Your pictures look amazing, and that's such a cute dress, love it! that belt is adorbs - I love the colour & the heart cut outs!! Thanks for stopping by my blog, deff following you now! Love the blog! So cute! thanks for stopping by cutie!! love your blog!